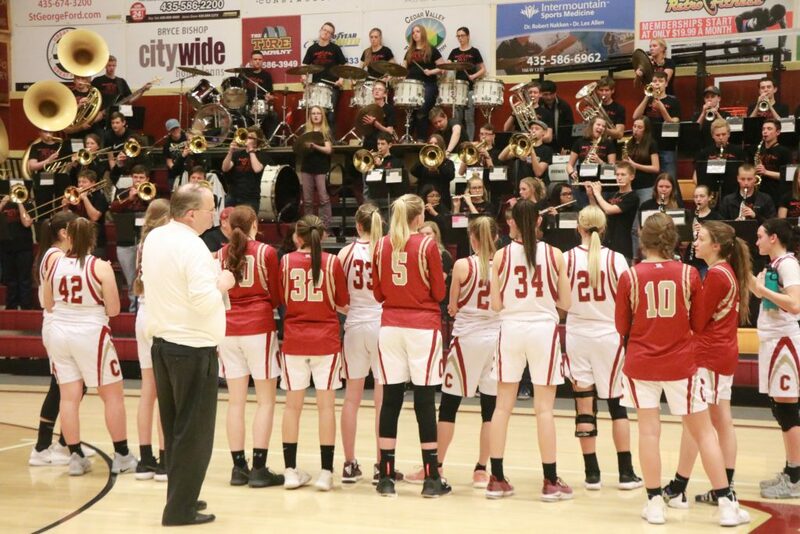 ST. GEORGE — The mighty Lady Reds were almost laid low at home by Desert Hills, but Cedar held on to win and maintain its undefeated season. 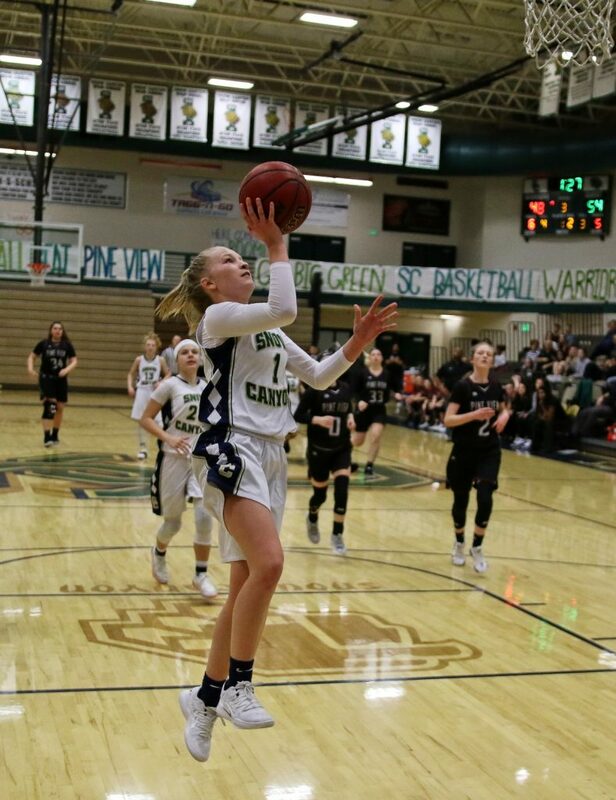 Second-place Snow Canyon, however, was upset by Pine View, while Hurricane edged visiting Canyon View. 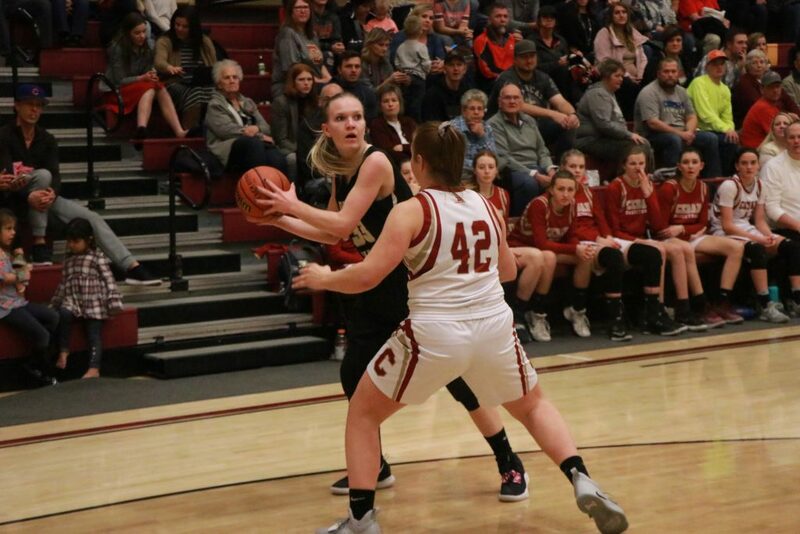 At Cedar, the Lady Reds built a sizable first-half lead then survived a late rally by Desert Hills to defeat the Lady Thunder, 57-52. 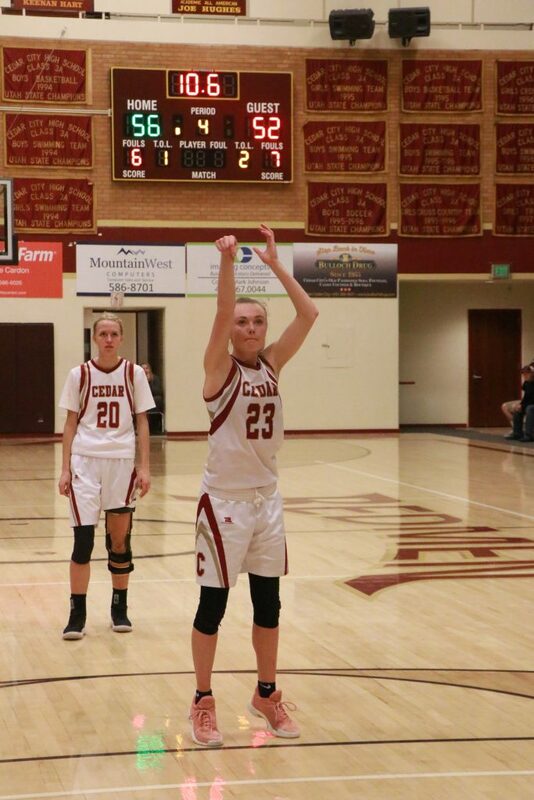 Cedar guard Mayci Torgerson sealed the victory with a pair of free throws with just over 10 seconds remaining, keeping the Lady Reds undefeated on the season (17-0 overall, 8-0 in region play). Cedar coach Corry Nielsen said his team was in “survival mode” for much of the second half. 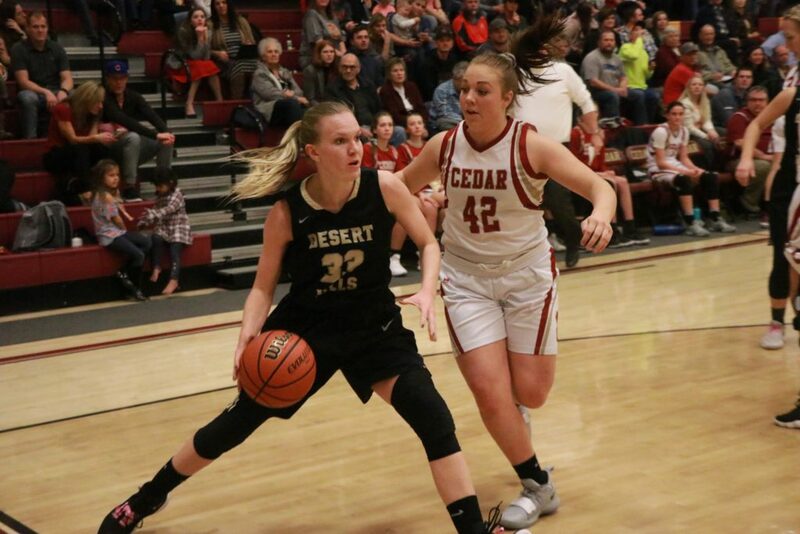 Early in the first quarter, Desert Hills briefly took the lead at 4-3, but Cedar’s Samantha Johnston then swished a 3-pointer to put Cedar up 6-4. That was the beginning of a 14-0 run for the Lady Reds, who ended the first quarter with a 21-10 lead. Desert Hills trailed by double digits throughout the second period, but guard Sa’de Turlington drilled a 25-foot 3-pointer at the halftime buzzer to bring the Thunder within 14 points at the break, 35-21. 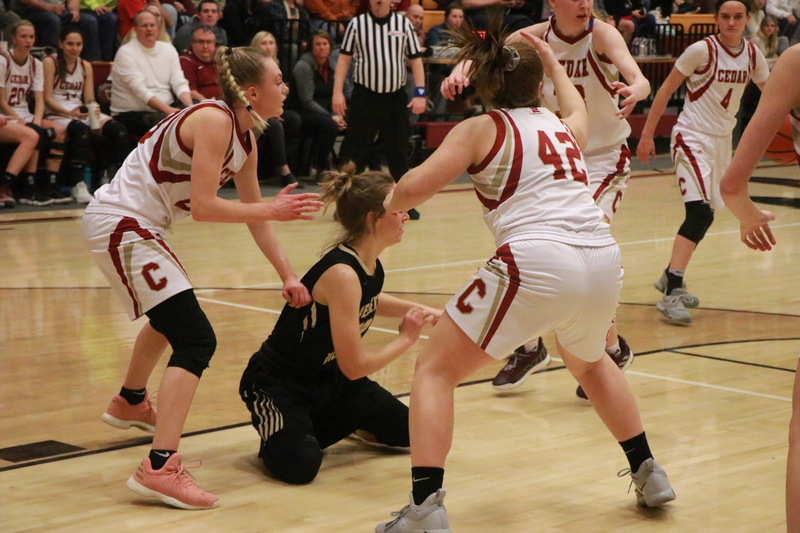 Desert Hills continued to chip away at Cedar’s lead during the third period, cutting the deficit to seven points multiple times, but the Lady Reds were still in control, 48-39, heading into the fourth and final quarter. The Lady Thunder continued to rally throughout the fourth. 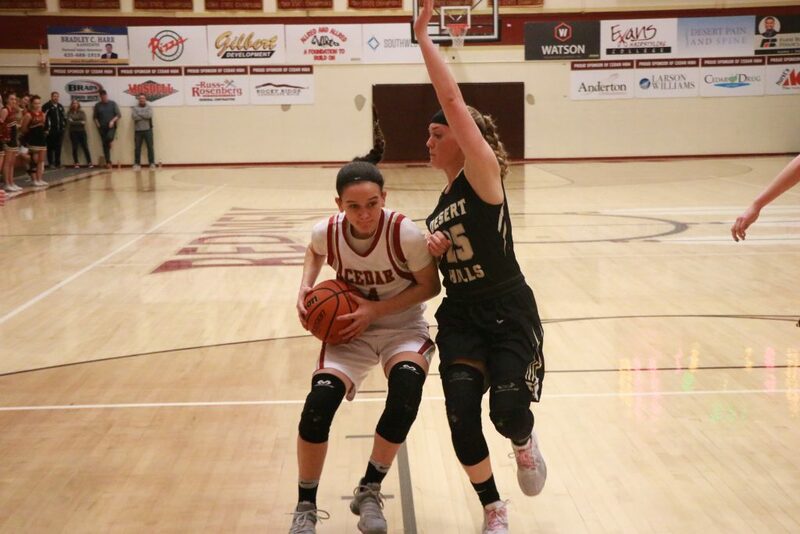 With just under four minutes remaining, Katelyn Philips made a 3-pointer to cut Cedar’s lead to four points, 54-50. Shortly thereafter, Kellie Nance scored inside to make it 54-52 with about three minutes left. That ended up being the last field goal scored in the game, as both teams missed shots and turned the ball over down the stretch. Cedar point guard Logann Laws, who finished with a game-high 19 points, made one of two free throws with 1:05 left to push Cedar’s lead up to three, 55-52. 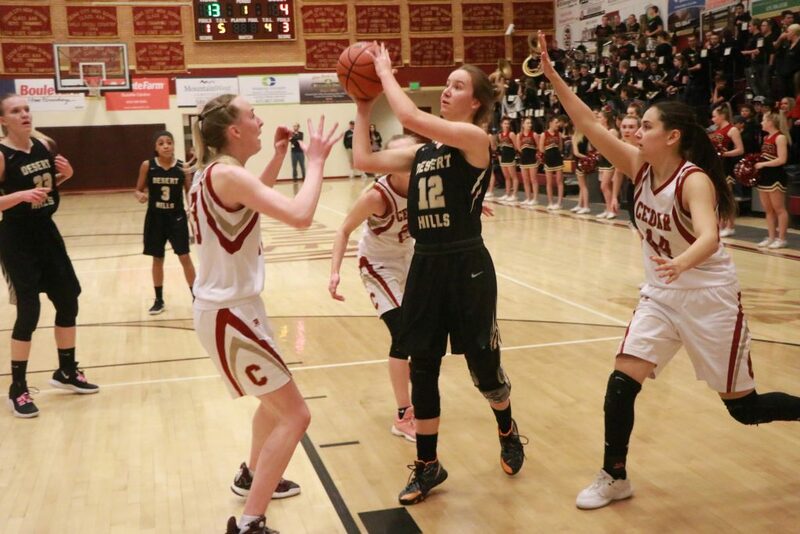 Desert Hills went for a 2-point basket on its next possession, but Philips’ putback attempt on her own missed shot rolled off the rim, and Cedar came up with the rebound. 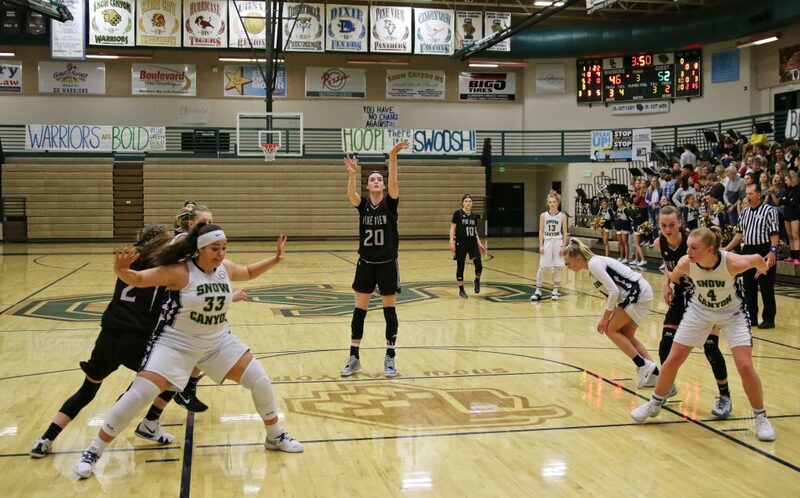 Moments later, Torgerson swished her game-clinching free throws. 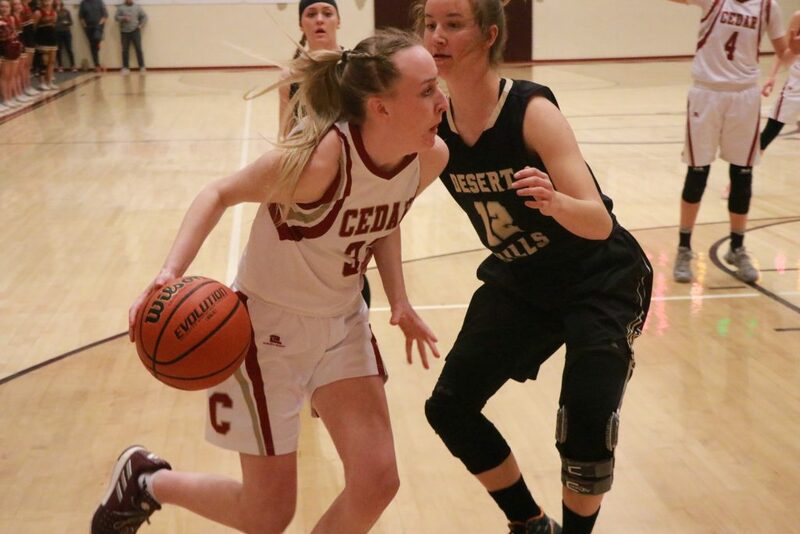 Torgerson finished with 11 points for Cedar, while Johnston added 9 points and Japrix Weaver contributed 8 points, seven rebounds and four steals. Denim Henkel grabbed 10 rebounds and scored 4 points. 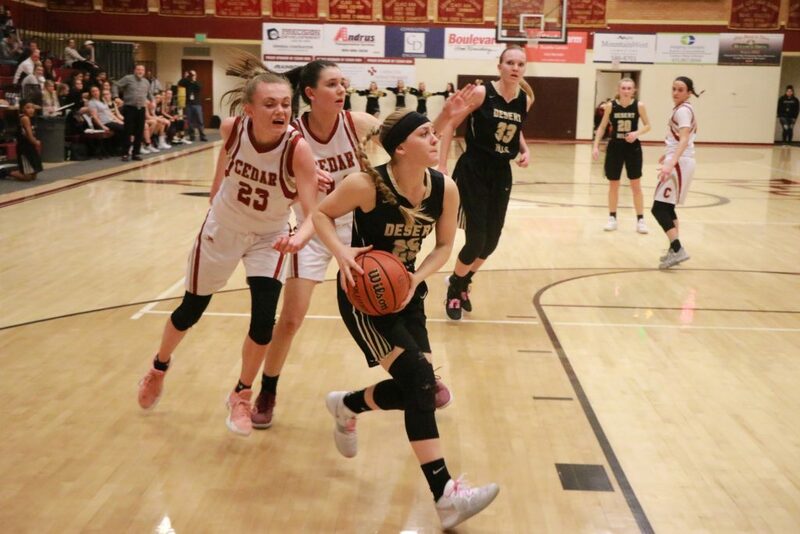 Desert Hills (4-4, 9-7) was held by Kellie Nance’s 12 points, while Philips added 11 and Rachel Myers scored 10. Even so, Nielsen said he and his players are not going to waste any more time dwelling on what went wrong. 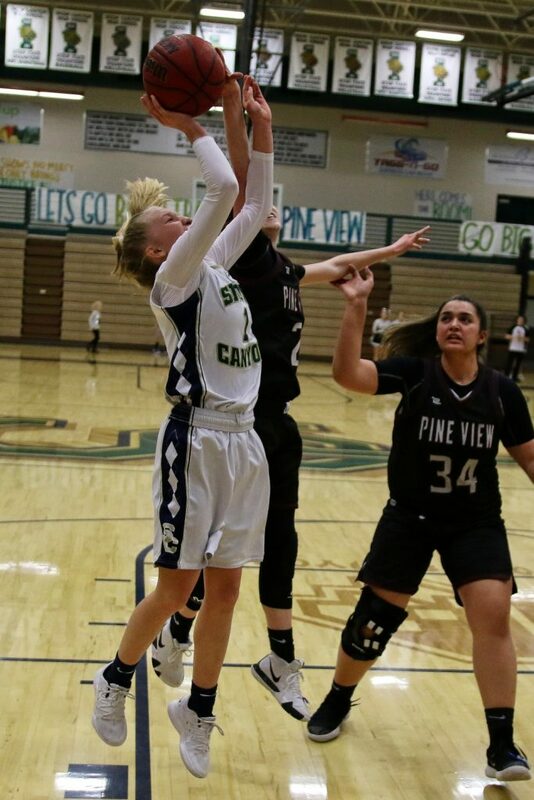 Cedar next plays at Pine View on Thursday at 7 p.m., while Desert Hills plays at Canyon View that same evening. 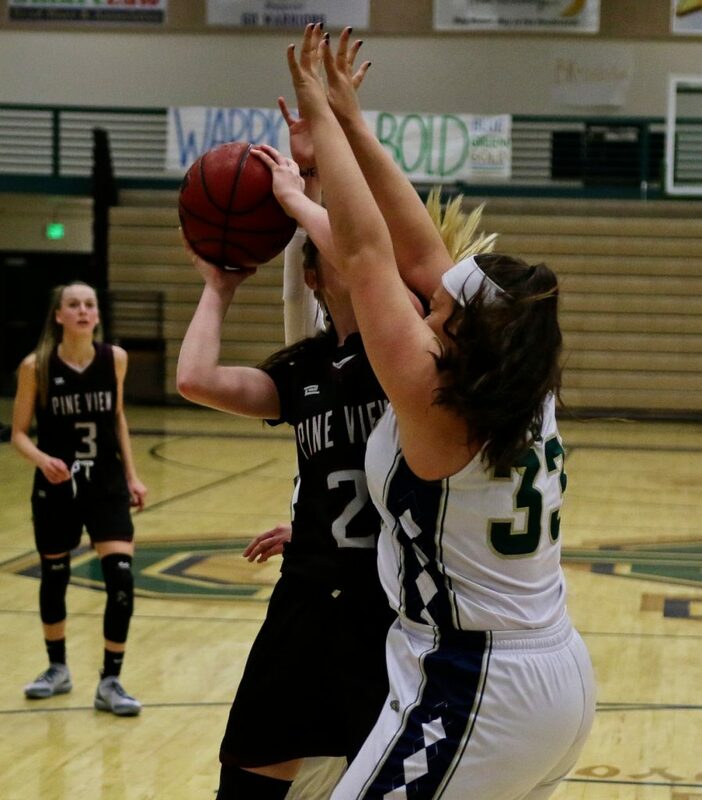 In a surprising result, Pine View dominated Snow Canyon, winning 80-60 on Tuesday night. The Panthers’ had one region win heading into the game, while the Warriors trailed only undefeated Cedar in the standings. 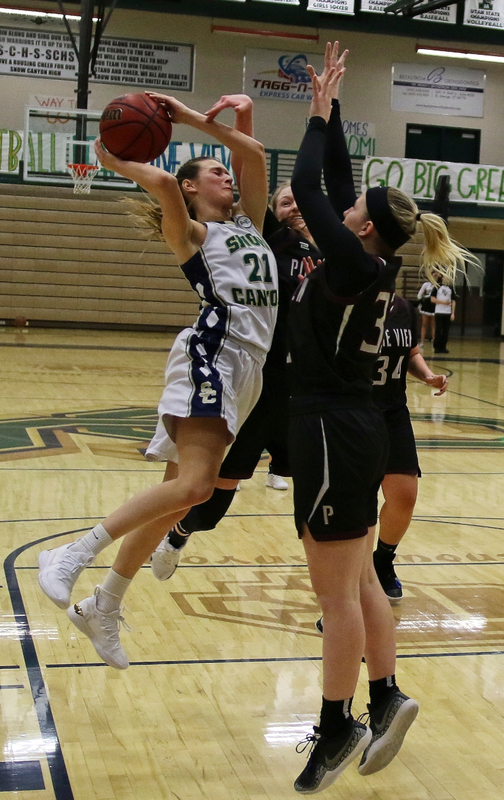 Snow Canyon took a two-point lead after one quarter, but Pine View took control in the second, pulling away to an eight-point lead by halftime. 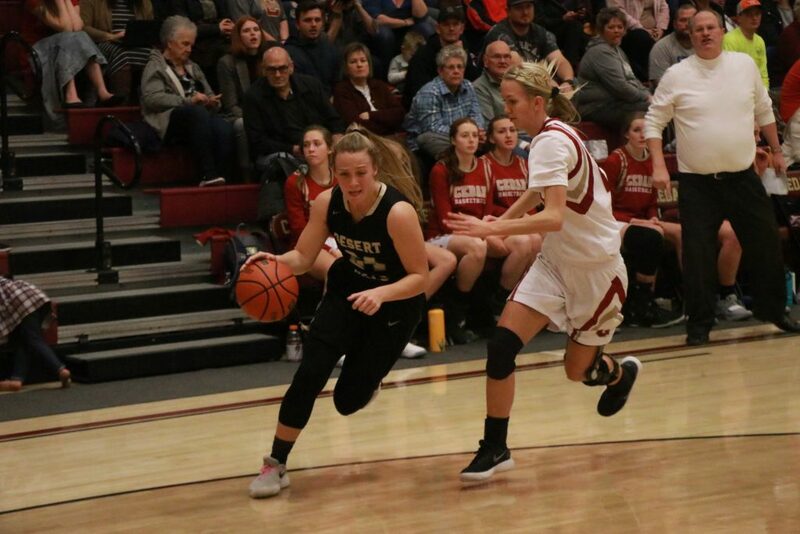 A close third quarter kept a comeback within reach, but the Panthers cruised to a win in the fourth, outscoring the Warriors 21-10 in the final period. 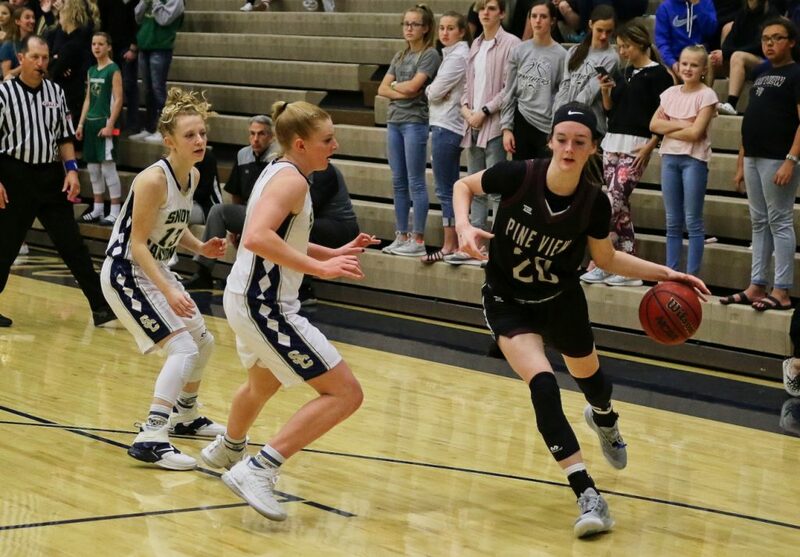 Averi Papa and Sophia Jensen led the way for Pine View, each scoring 18 points. Ellie Wilson and Madysen Jensen each added 12 points. The Panthers improved to 2-5 in region play. Tylei Jensen had a big game for the Warriors, scoring 31 points. Snow Canyon dropped to 5-3. 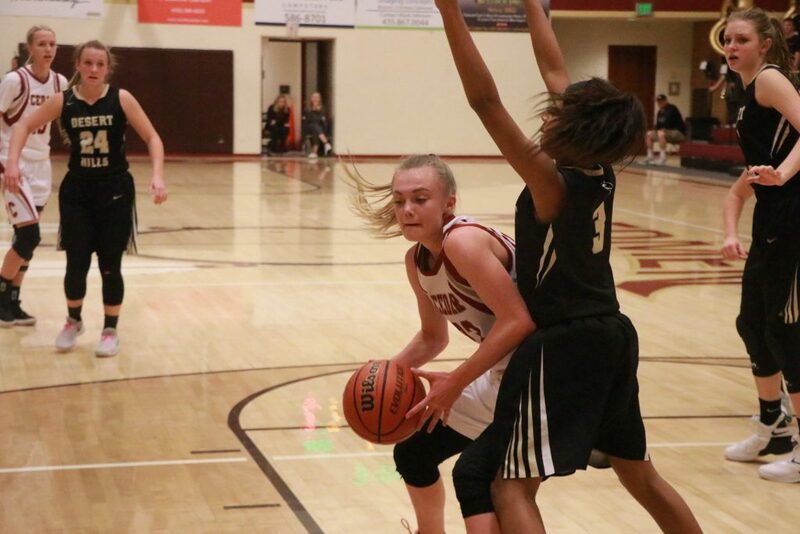 Pine View hosts Cedar and Snow Canyon travels to Dixie on Thursday. Both games tip off at 7 p.m. 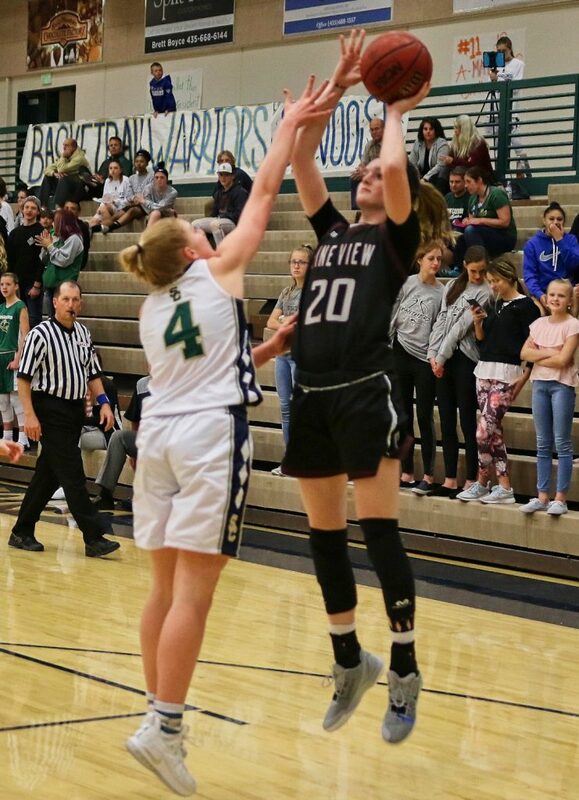 In a close Region 9 contest, the Hurricane Tigers came out on top, defeating the Canyon View Falcons on Tuesday night. The Tigers led by eight after one quarter, which ended up being enough of a cushion for the win. The Falcons cut the lead to six at the half and to just three entering the fourth quarter, but ultimately the comeback attempt fell short as Hurricane pulled away in the final period. The Tigers improved to 3-5 in region play, just one game out of fourth place for the final playoff spot. 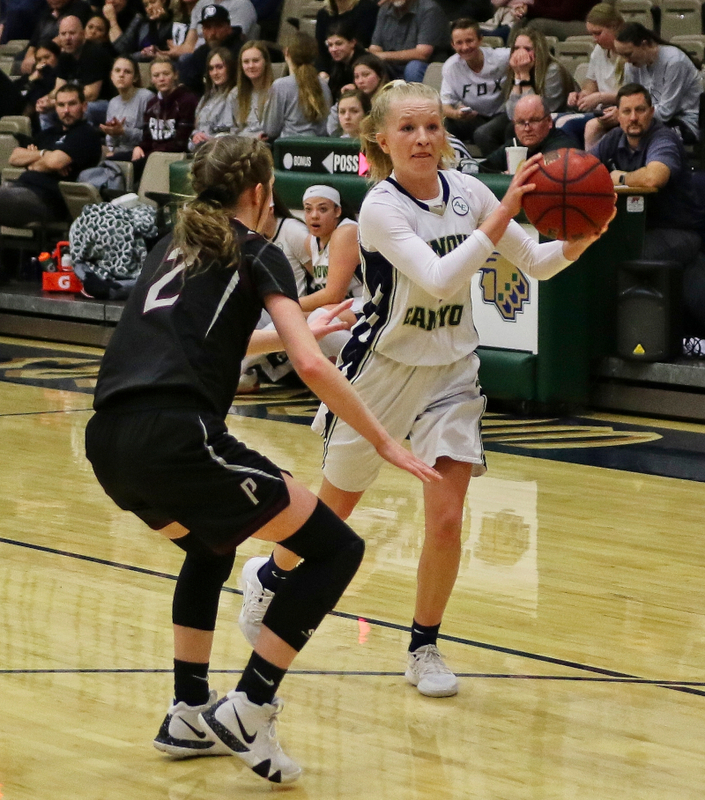 Hailey Homer scored 14 to lead Hurricane while Madi Hirschi and Mckenzie Robinson each added 11 points. 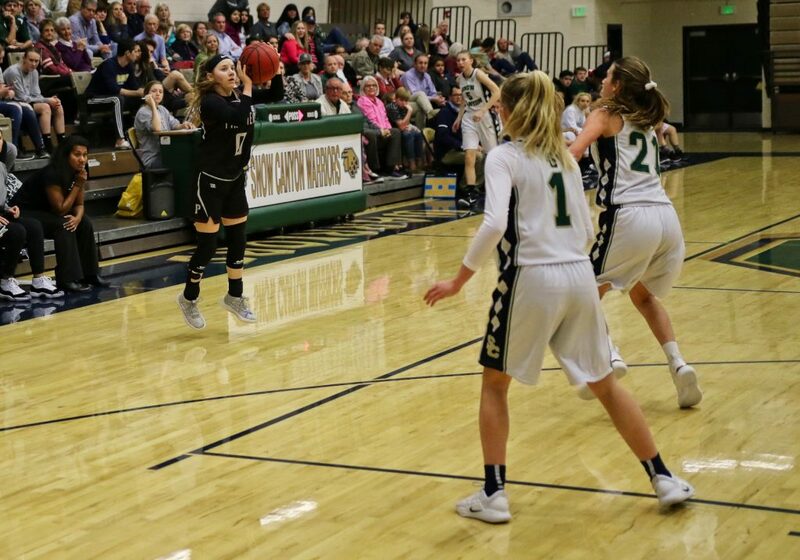 Jordan Nielson dropped 20 for Canyon View, while Ashlyn Banks scored 17. The Falcons dropped to 1-7 in region play. 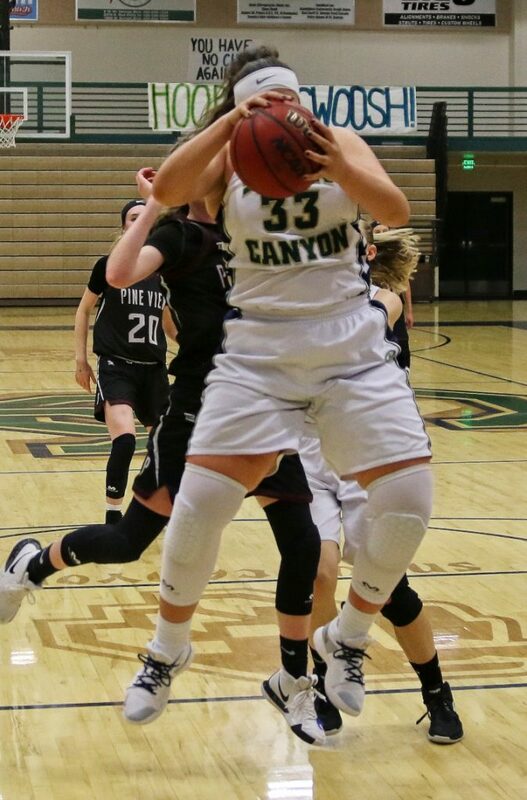 Canyon View hosts Desert Hills on Thursday at 7 p.m.
Hurricane has a bye Thursday then returns to the court at Snow Canyon on Tuesday at 7 p.m.